Our spring concert on Sunday, May 19, is fast approaching and we hope you join us for an evening of glorious, inspiring music! 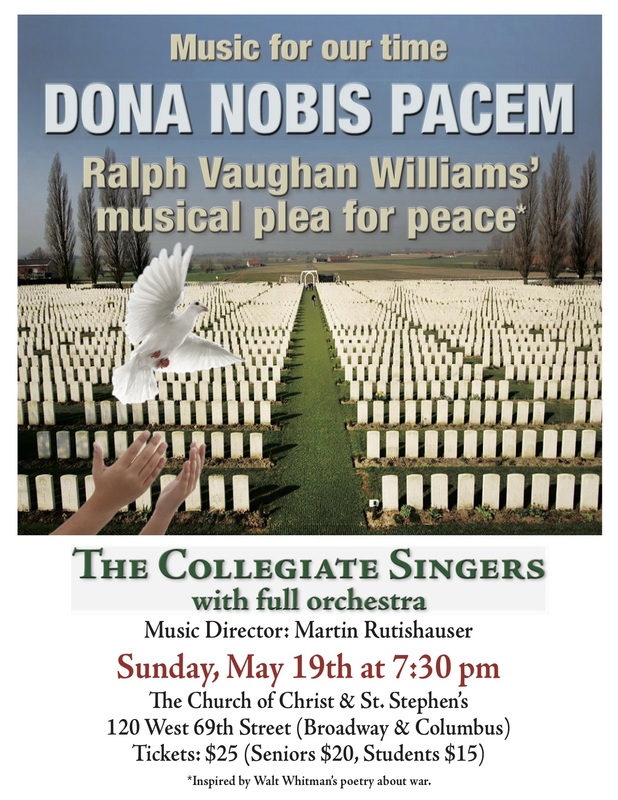 We will be performing two works by Ralph Vaughan Williams: Dona Nobis Pacem with soloists and full orchestra, and Ca' the Yowes. Also on our program - George Frideric Handel's Zadok the Priest and Thomas Tallis' If ye love me. The performance begins at 7:30 pm and tickets may be purchased at the door. Please support our singers by contributing to our current GoFundMe campaign (click here). Your donations will enable us to hire local soloists and musicians to join us for our concerts, as well as continue to grow our intern program and community outreach performances. 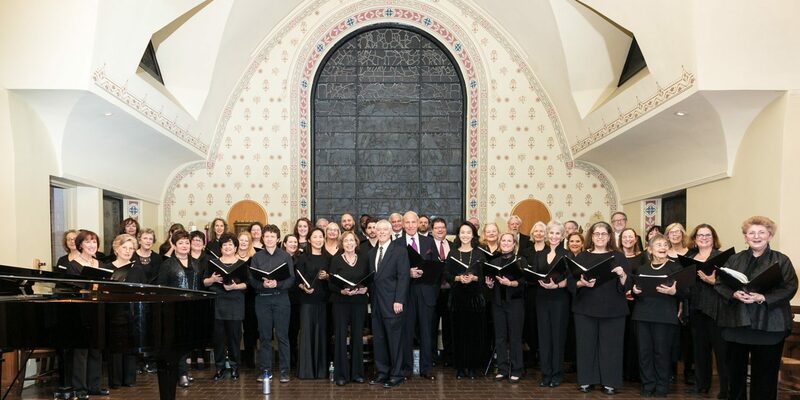 We welcome new members of all voice types (soprano, alto, tenor, baritone/bass) to join us for our fall 2019 season. Rehearsals are at The Collegiate School at 301 Freedom Place South. See our About page for more information. M72-starts at B’way & 72nd Street, goes west on B’way, goes down West End Avenue; or crosses 57th street and goes up West End Avenue. #1 train to 65th Street. Walk from there or take M65 bus west. M11 runs down Columbus Ave, runs up Amsterdam Ave.
Any train to Columbus Circle, but that’s a longer walk to school. Note: 62nd Street does not run through to Freedom Place South. To listen to our previous performances, click here. For news and updates, follow the Collegiate Singers of NYC on Facebook.